Don't let aches and pains hold you back from everyday life, move on with Movelat. Movelat’s unique formula delivers a clinically proven anti-inflammatory exactly where it is needed, providing powerful pain relief for aching joints and muscles. It's your move - visit your pharmacy and move on with Movelat. 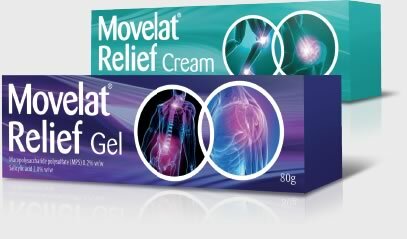 Movelat gets powerful pain relief directly to aching joints and muscles. 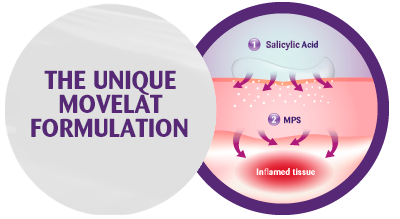 Unlike traditional oral pain relief tablets, because Movelat is applied to the skin at the site of pain, less of the medicine circulates in the body. Therefore, there is less risk of the side effects that can be associated with taking some painkilling tablets.